When we last saw Josh Rimer in Red Deer, he was working at the local TV station (back when there was one), starting down a path in the TV industry. It was 1997. He had recently graduated from LTCHS French Immersion program and completed the broadcasting program at Mount Royal College. He moved to Vancouver 11 years ago and up until last year, Josh was just a regular Canadian living in Vancouver building a career in the biz. But… that changed recently when Josh was designated Mr. Gay Canada 2019. He will be the country’s representative at the Mr. Gay World competition in April. Rimer, who grew up in Red Deer and moved to Vancouver 11 years ago, has volunteered with a number of local charities including the Dr Peter AIDS Foundation, A Loving Spoonful, AIDS Vancouver, the LOUD Foundation, and Foundation of Hope. He also hosts and produces interstitial programming for OUTtv, Canada’s national LGBT TV station, where his content will now focus on his journey as Mr. Gay Canada. Click here to see an announcement video for his new series. Each year a new delegate is selected to be Mr. 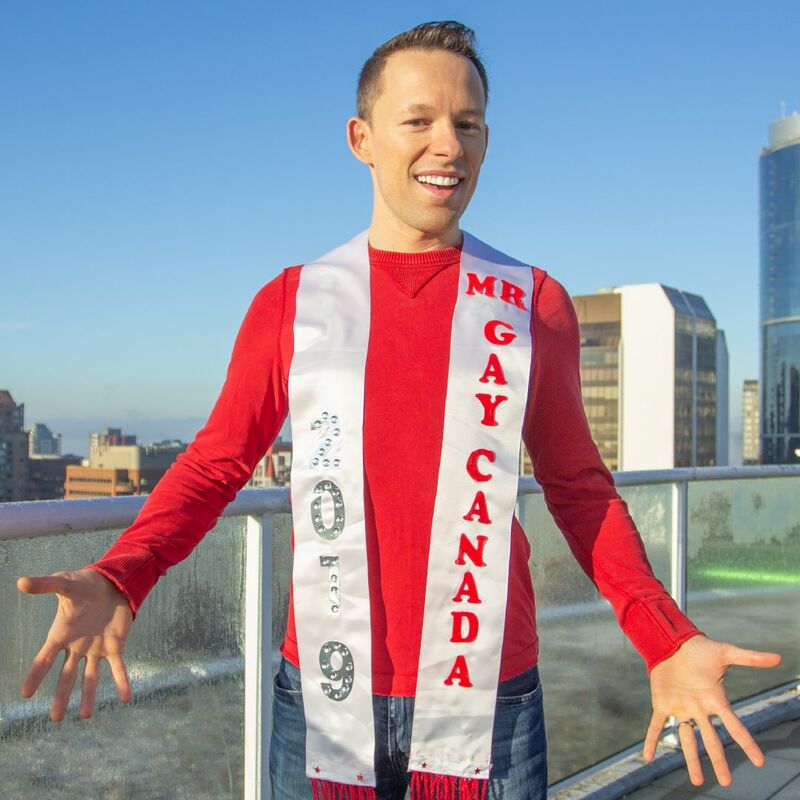 Gay Canada and he will represent the nation at the annual Mr. Gay World competition. A candidate is chosen for the position from the gay community who is inspiring, charismatic, articulate, and confident. He will travel to South Africa to compete for the title of Mr. Gay World along with other delegates from a number of countries around the world.